The Travelon Anti-Theft Classic Convertible Small Tour Bag is a bag made from 900 D Polyester material, Worn as a shoulder bag or looped to your belt as a belt bag, either are possible thanks to the smooth glide, removable, adjustable strap and belt tunnel. Main compartment has RFID blocking card and passport slots, 2 open top pockets, and tethered key clip with LED light. Front zip pocket is perfect for quick grab items including a smart phone. It has Anti-Theft features including slash resistant and locking compartments with slash-resistant and locking straps which will keep you and your belongings protected. 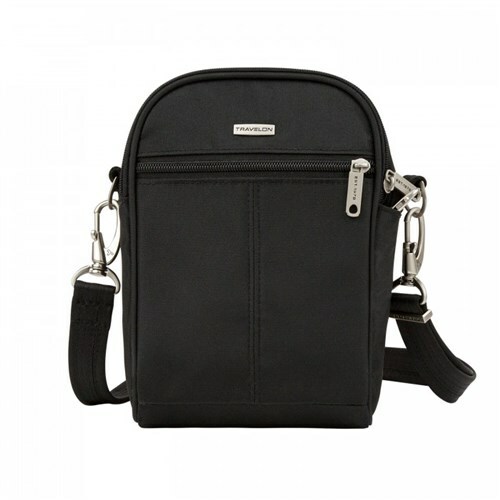 The Travelon Anti-Theft Classic Convertible Small Tour Bag-Black has many exciting features for users of all types. You can extend the lifetime of your Travelon Anti-Theft Classic Convertible Small Tour Bag-Black with the purchase of a FactoryOutletStore Factory Protection Plan. See the Travelon Anti-Theft Classic Convertible Small Tour Bag-Black product video and gallery images above for more details. 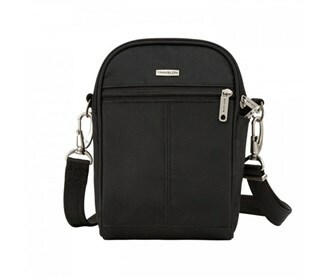 The Travelon Anti-Theft Classic Convertible Small Tour Bag-Black is sold as a Brand New Unopened Item.